The bodies of nine sacrificed children have been found at the Maya site of Ceibal in Guatemala. Some of the children were buried with obsidian tools, a fact which research suggests shows the enhanced significance of the sacrifices in the Maya Middle Preclassic period. 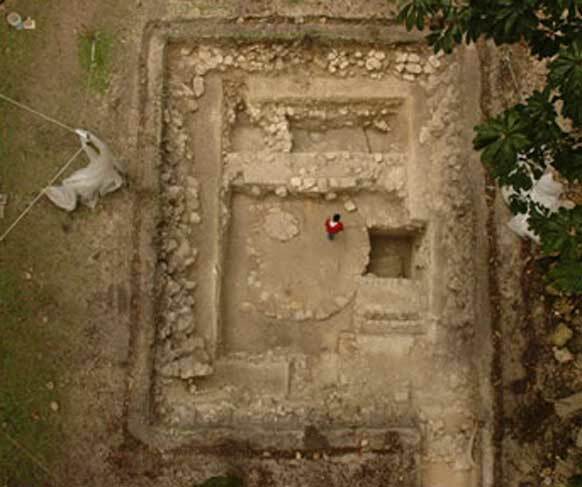 IBTimes UK reports that although Ceibal was first investigated in the 1960s, Archaeologists from the Ceibal-Petexbatun Archaeological Project decided it was time to revisit the archaeological site with more advanced technology . They excavated the site from 2005 to 2017 and their initiative led them to some significant ritual findings. Five of the sacrificed children were found in a multiple burial. Four of them were infants and one was between 3-4 years old upon death. Four of the children were aligned with the cardinal points (important in the Maya cosmos) and the fifth was placed between the southern and western individuals – although there were no artifacts buried with this individual. This was one of the infant burials. 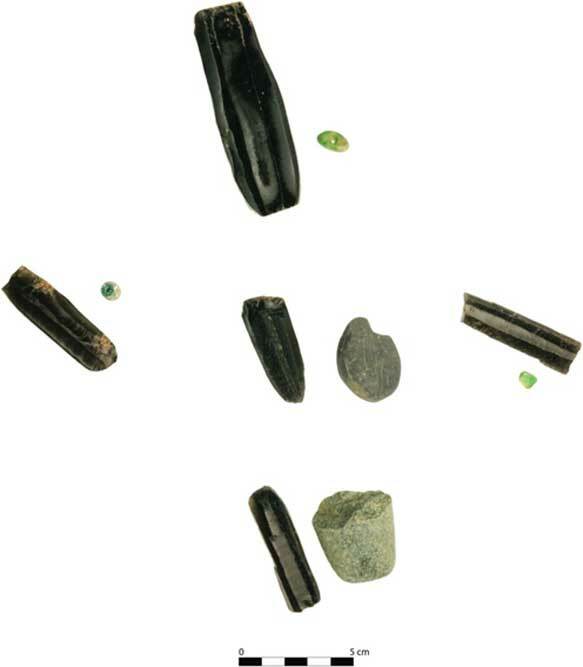 Five obsidian artifacts were placed in this multiple burial – one with each of the children at the cardinal points and one in the center. A fragment of a greenstone celt and a jute snail with a hole on one side were buried with the northern child, a jade bead was buried with each of the other three children at the cardinal points, and a blue polishing stone was placed in the center of their combined grave. Two other sacrificed children were unearthed in flexed positions with their heads oriented to the north. They were buried facing each other and two obsidian pieces were buried alongside their bodies. These children were between the ages of two to four years old when they died. A ceramic bead and 11 shell beads were also used as grave goods in this burial. The researchers report that two more children, between two and four years of age, were buried with “Four exhausted polyhedral obsidian cores—one for each of the inter-cardinal directions: northeast, southeast, southwest, and northwest—with their distal ends pointing to the center.” Two ceramic vessels, an unfinished jade bead, a small piece of magnetite, and shell beads made up other grave goods in this burial. It has been suggested that the leaders of these rituals were likely elite members of society and they completed their ceremonies in public. “The substantial number of these ceremonial deposits in the public plaza, interred at different times, indicates these were recurring public events that would have been important for integrating the community, including those living in and around Ceibal,” the authors write in their report. The new discovery helps shed light on a time period which is still relatively unknown for Ceibel. The Classic period has been studied quite well, but the Maya practice of repeatedly building on the same site means that times before were often covered over or forgotten as generations built over their predecessors. 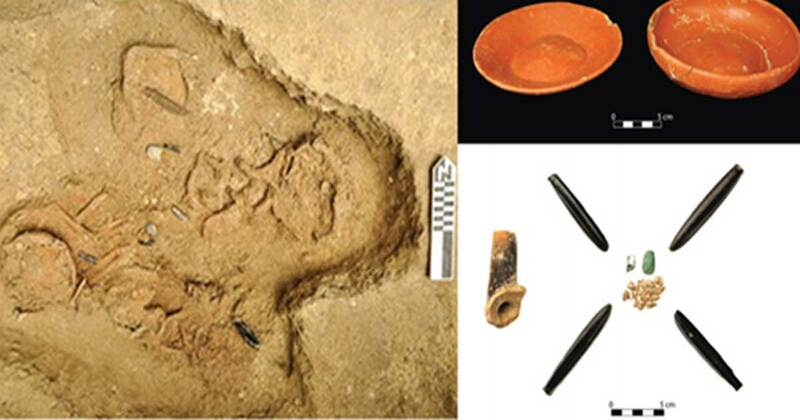 Thus, the ritual burials discovered at the site can provide new insight on craft production and ceremonial practices in a time that is still largely unknown.